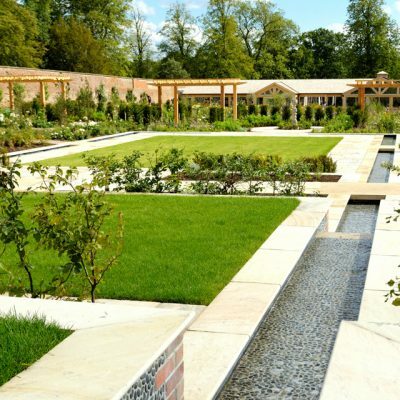 This project involved the construction of a new visitor centre within the Grade 1 listed Rose Garden in the grounds of the historic Wynyard Hall Country House Hotel. 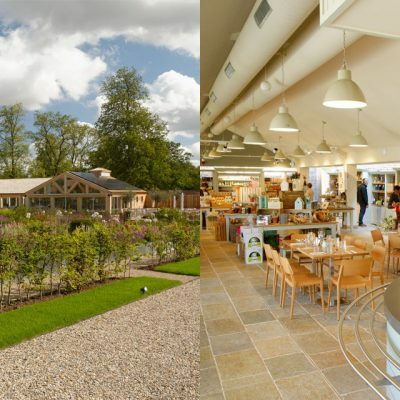 The Visitor centre includes an entrance lobby with W.C. facilities, a café, farm produce and gift shop, and a delicatessen. The single storied steel portal framed timber clad building has an easterly facing full length glazed façade with pitched double height features giving access to the garden and views from the dining area. The floor is a screeded block and beam construction with a tiled finish and the cedar wood shingled roof. 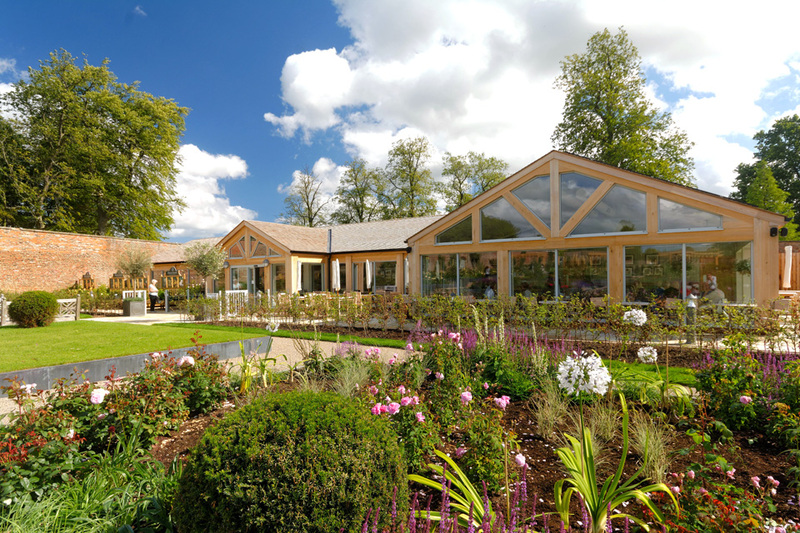 This compliments the oak boarding used on the external elevations in between the glazed curtain walling. Extensive external landscaping works were done to provide additional parking and the project was completed under budget and ahead of programme in June 2015. 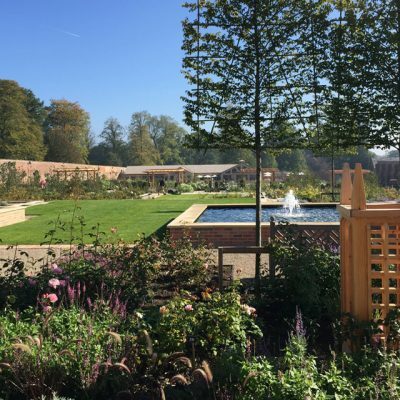 The re-creation of the spectacular listed Rose Garden was a separate project managed by the client and included planting the biggest variety of roses in Europe along with various interactive water features, statues, Italianate terraces and visitor picnic areas. The visitor centre cleverly uses the cleaned and restored Grade I listed brick garden walls as a stunning feature and provides a historic backdrop to the building. It was short-listed for the RICS North East Awards in the Tourism and Leisure category, with the opening being a great success.